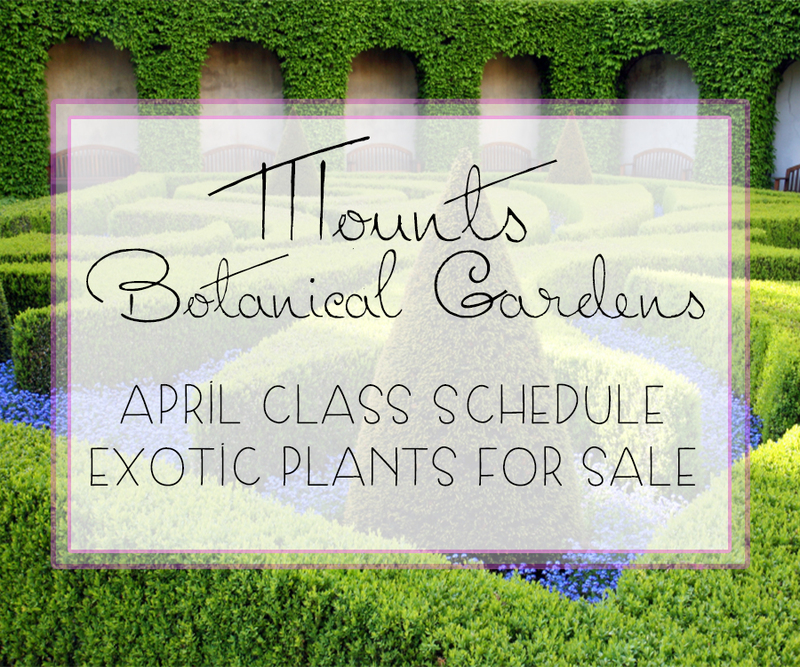 Mounts Botanical Garden April Class Program: EXOTIC PLANT SALES! Monday, April 18th, 2016 at 3:35pm. When you think of Palm Beach County you might think of lavish real estate, blue water, warm weather and tropical cuisine and all of those things are very Palm Beach! But another big thing in this area is an appreciation for gardens and creating a tropical oasis. To try something new, you will want to try a class at the Mounts Botanical Garden. You can refine your gardening skills, or learn a new hobby of soothing gardening that is good for the soul.